Monk was a perfectionist not always well-understood by the public or even the musicians of his day. All his other recordings involve other musicians with whom he must interact with varying results. This sometimes makes it difficult to hear Monk as himself rather than as an ensemble player. 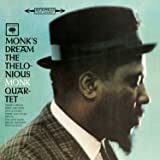 But this recording gives us a great window into Monk's musical soul unencumbered with any exogenous distractions. 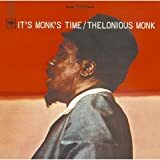 One gets the feeling that Monk is playing for himself with no one else in the room. Production values are nil: just Monk and a piano in a bare studio. It is a privelege to be able to eavesdrop on his private explorations of themes of, presumably, his own choosing. 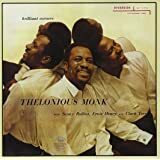 Having bonus tracks with 'duplicate' songs is a genuine positive; it allows you to hear Monk's differing approaches to the same material. 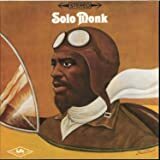 This recording must be considered essential to anyone interested in appreciating the musicianship of Thelonius Monk. 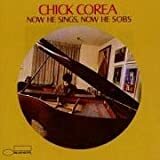 There are many other great recordings of Monk out there but this one is indispensible. Every tune is magnificent, and every performance perfect. 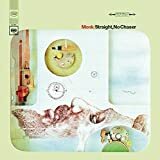 If you only have one Monk CD, make this one the first you own. 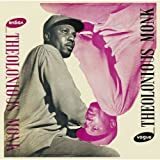 "..Monk's unique piano style was largely perfected during his stint as the house pianist at 'Mintons' in New York City during the early to mid 1940's when he participated in the famous after hours 'cutting competitions' that featured most of the leading jazz soloist of the period.The Minton's scene was crucial in the formulations of the be-bop genre,and brought Monk in close contact with Charlie Parker,Dizzy Gillepie,Kenny Clarke and other greats of the day..."[Excerpts from a profile of Monk on Wikipedia] Minton's was the breeding ground for the devolopment of a new musical language.New harmonic and melodic approaches were developed and perfected. A 'thinking tank' so to speak. 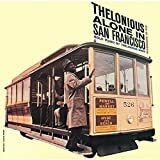 Thelonious Monk was 'smack dab' in the middle of it.So taking that all into consideration on this recording we have the unique oppurtunity of hearing the master by himself,with the added pleasure of a perfectly tuned piano.One of great masters of the improvised line,along with his strikingly original harmonic ideas makes this a real treat.The tune list is a mixture of originals and standards such as 'I Should Care'(Weston/Stordahl),'Everything Happens to Me'(Dennis-Adair),and his own classic 'Ruby My Dear'.This comes highly recommended. 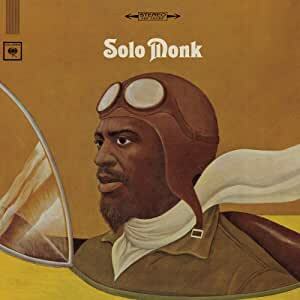 I knew of Monk's solo work but wasn't familiar with it. 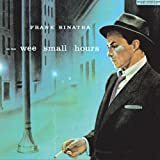 I was expecting a lot of flashy pyrotechnics on this CD - one of those that could be technically impressive but could also be a difficult listen. How wrong I was. Imagine, in 1964, if you had the opportunity to have Thelonious Monk play a private recital at your home. Imagine further if you asked him to just play what he felt like playing for his own enjoyment. That's what this CD feels (and sounds) like. This takes you by surprise right from the start with "Dinah", a tribute to rag delivered without any hint of irony. 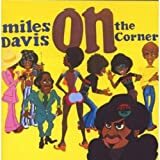 If the playing on "I'm Confessin'" doesn't boost your spirits, you might want to check in to a mental health facility. Overall, this is like a brief history of jazz up to that point - delivered effortlessly and affectionately. Essential.